I know, like me, you guys are huge candle fans! I mean.... maybe not as much as the candle vlogger girl from Scream Queens (lol) but - we all love a good candle don't we and this is the newest one I've added to my collection. 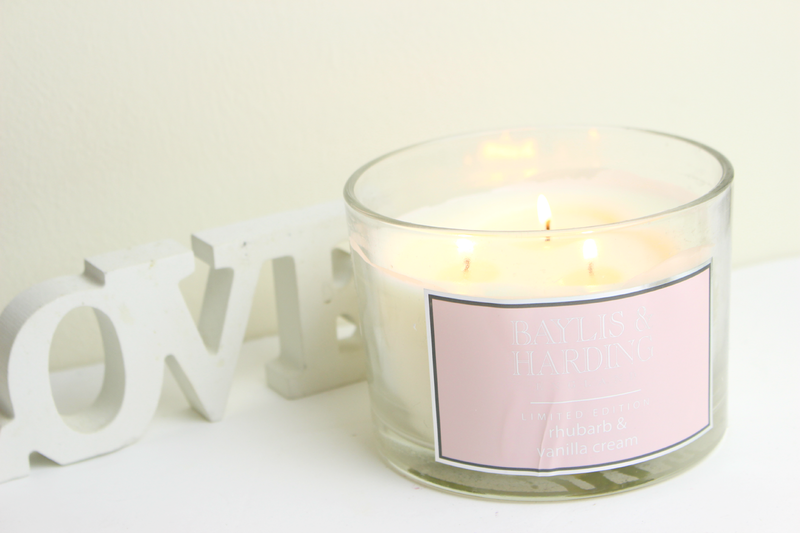 As soon as I saw this candle from Baylis & Harding I knew I HAD to get one. I am a huge fan of rhubarb and custard sweets and have always loved the smell of them.... so a candle in that favour - ummm... yes please! This is the Limited Edition 3 wick Rhubarb and Vanilla cream candle form Baylis & Harding, one of their handful of products in this scent. It's priced at £15 at Boots, which in my opinion is a great price for the size of the candle! The smell is SO yummy and I have been loving burning it so much that I'm seriously tempted to invest in another while they are still available! 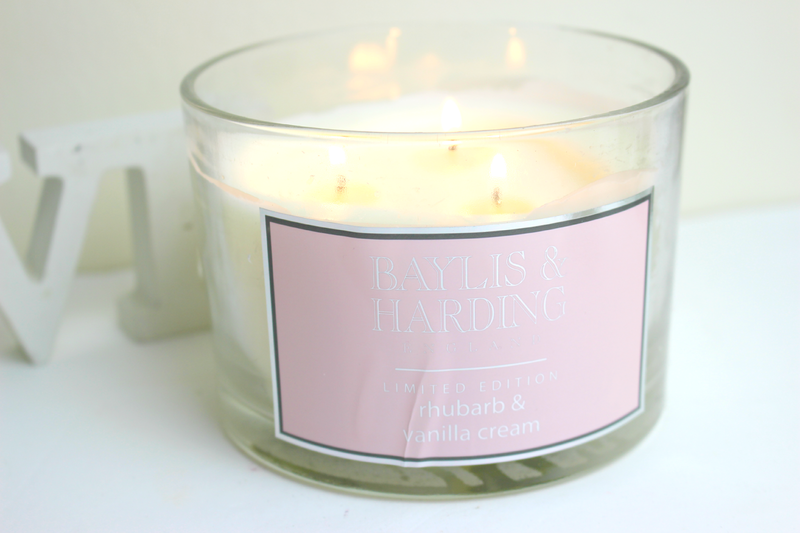 Do you know of any other brands that have a Rhubarb & Custard scent? Ahh this scent was my childhood! Sounds right up my street! reasonably priced indeed for its size! Im not sure what it smells like given I've tried anything similar but it sure does look pretty to look at! I love this range of Baylis and Harding and I have the hand wash in this scent. It's SO nice, I need to pick up the candle while I can!! This looks and sounds amazing, I need get my hands on one of these. There is nothing better than burning a candle on a cold autumn day.